It was a scandal and it was very distressing. 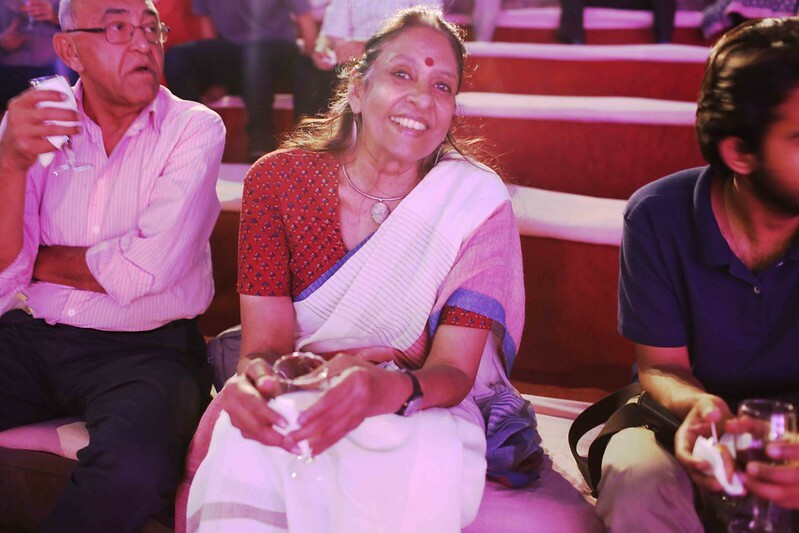 Only a few people were there to celebrate the iconic Tavleen Singh, the bestselling author and journalist with 228K followers on Twitter. 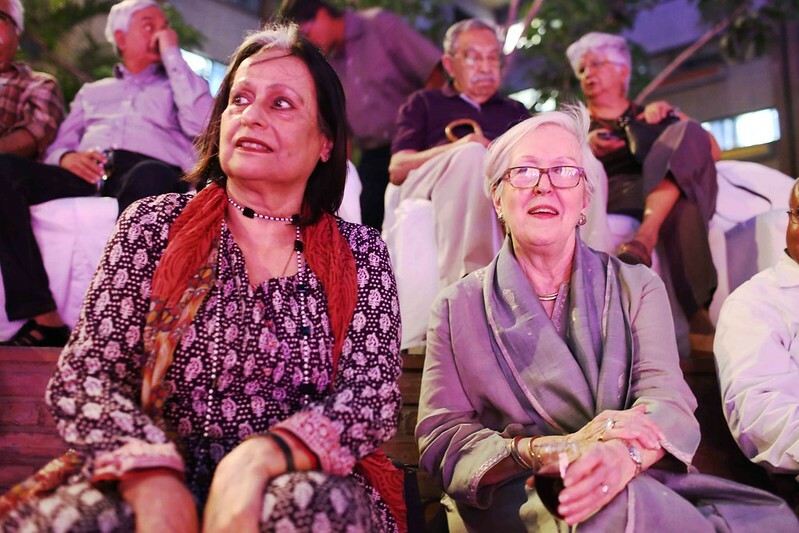 One evening, The Delhi Walla was at the amphitheater at India Habitat Center to attend the launch of Ms Singh’s new book, India’s Broken Tryst. The venue was half-empty. The embarrassed organisers took a long time to call Ms Singh on stage, after waiting for people who never came. 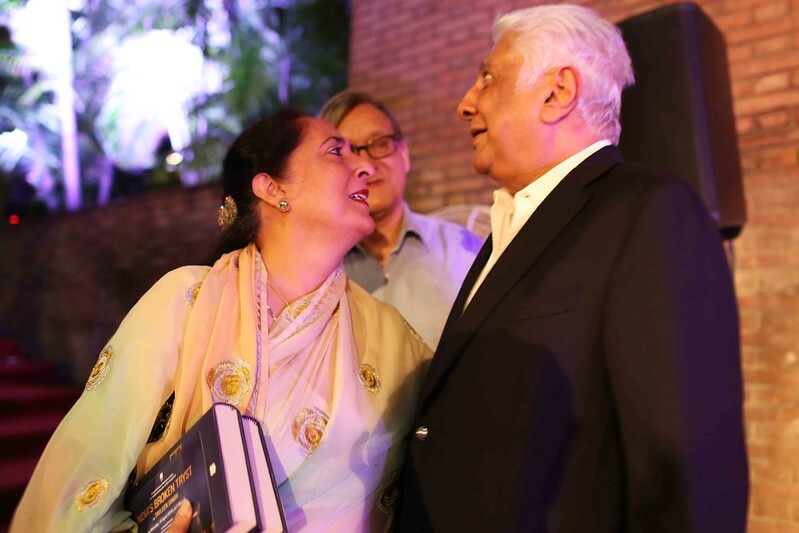 News anchor Barkha Dutt was nowhere to be seen though Ms Singh had dutifully attended her book launch a few months ago (and she had even tweeted about it). Indian Express’s editor-in-chief, Raj Kamal Jha, did not come though his newspaper publishes Ms Singh’s Sunday column (correction: hours later I’m told that he was indeed sighted in the gathering). Ms Singh’s son, author Aatish Taseer–a Proustian aesthete who likes to remind people that he is a Sanskrit scholar–was not seen either. The specter of empty seats was beyond belief. After all, Ms Singh is a celebrity face on TV news. Her last book, Durbar, was the talk of the town and it was even read and liked by the man who is now the Prime Minister. (A very gracious human being, he condescended to give an appointment to Ms Singh so that she could avail the opportunity to present him her new classic.) Ms Singh knows a lot of other Very Important People in the capital, including a couple of Maharajas and Maharanis from Rajasthan. She is also an ex-friend of Congress leader Sonia Gandhi, and has told that many times in her books and columns. Still, a handful of beautiful people tried their best to rescue the evening from ending up as a nuclear wasteland. 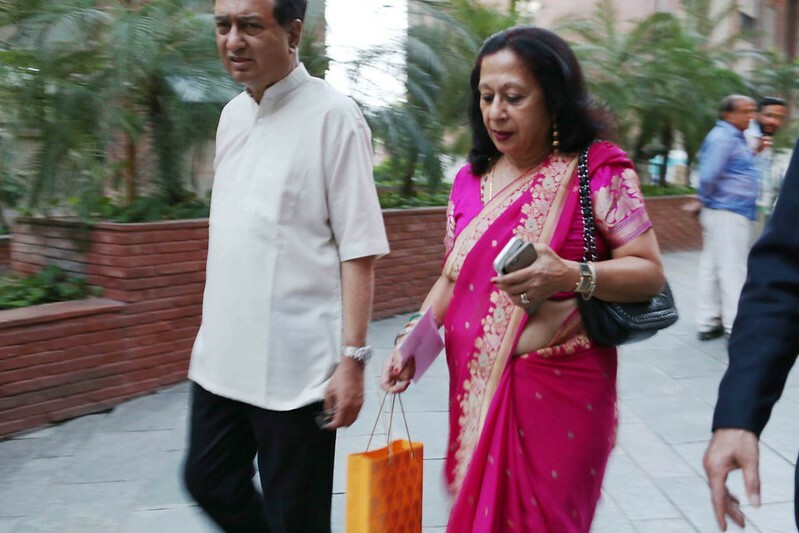 Ms Singh’s partner, industrialist Ajit Gulabchand, looked suave in a suit, and, like a true gentleman, his two-buttoned jacket had only one button fastened. 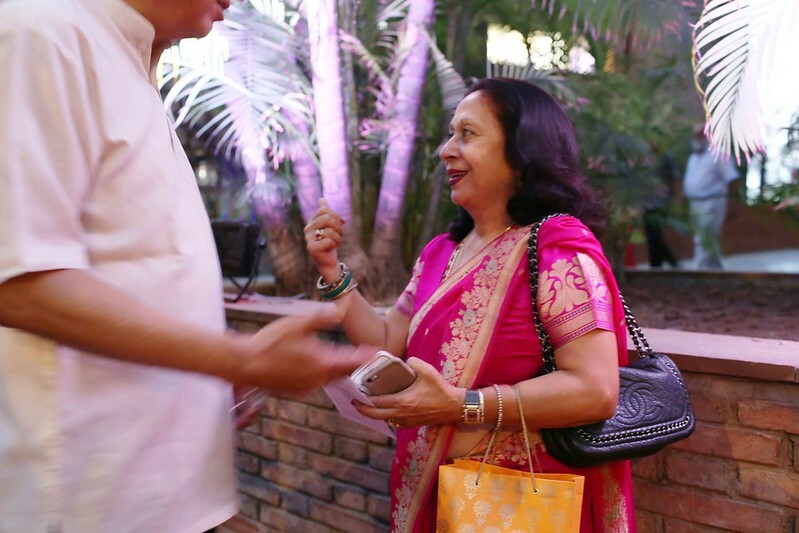 Ms Singh, however, looked a little over the top in her glittering pink sari. Perhaps there was a wedding to be attended later in the evening. Former politician Jaya Jaitley looked truly stylish in a white sari that looked so fragile as if it had been hand-woven in a dream. 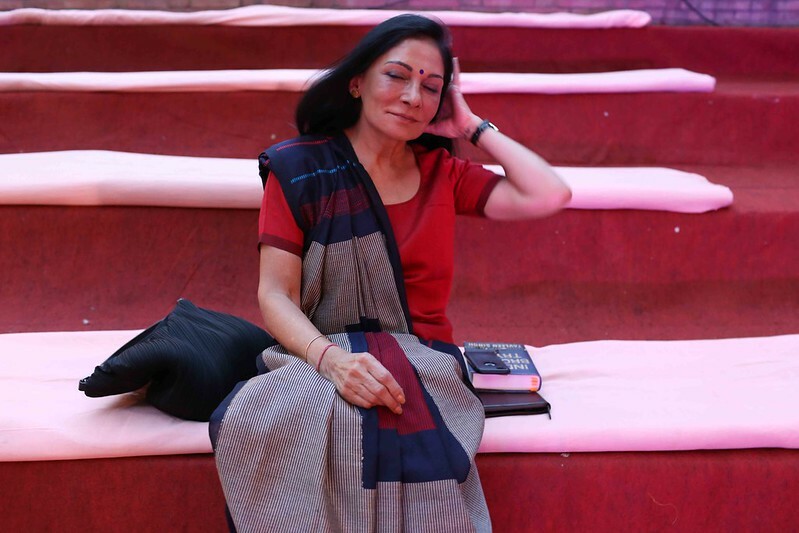 Journalist Madhu Trehan looked lovely in her long black hair. 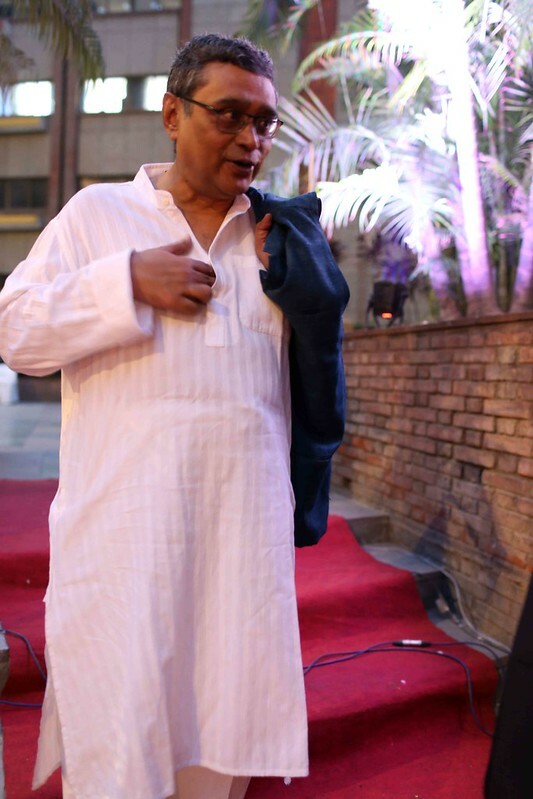 Journalist Swapan Dasgupta looked like Prince Charming in a white kurta pyjama. 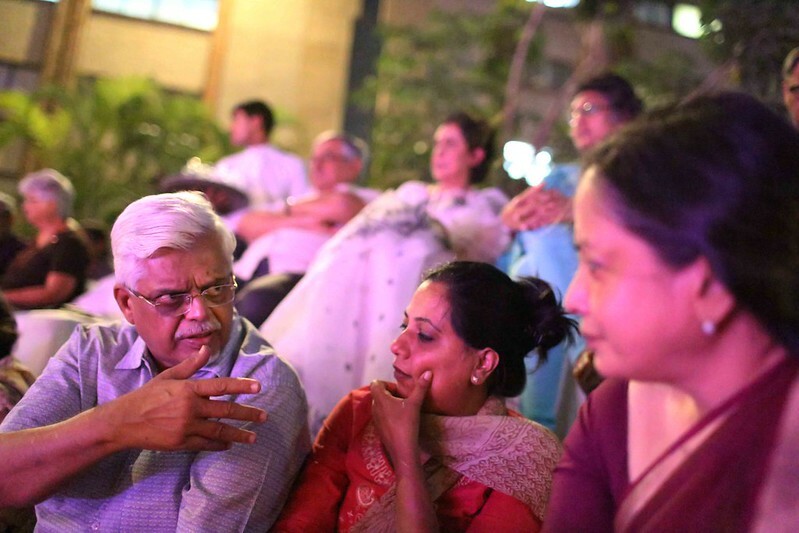 Also seen: publishing house editor Nandini Mehta, who looked hot, as always; magazine editor Madhu Jain, who was recently conferred with Chevalier de l’Ordre National du Merite by the French ambassador; novelist Manu Joseph, who seems to have become a book launch junkie. 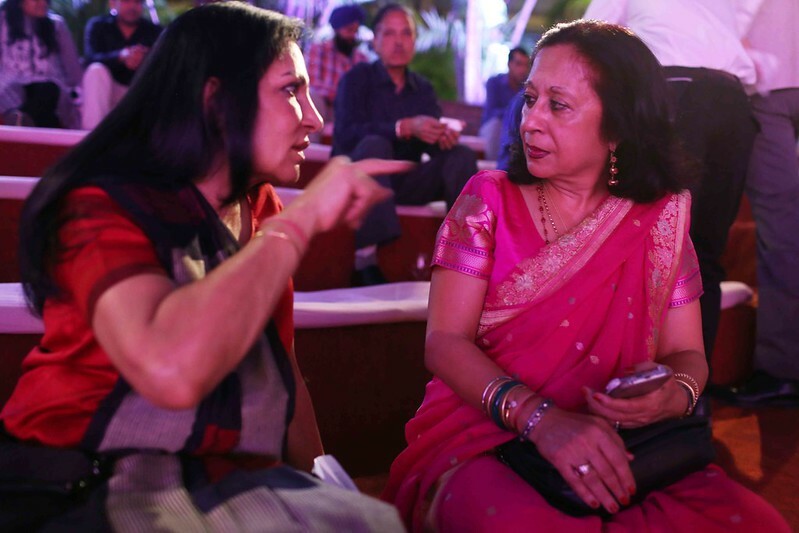 The only gossip overheard: one guest remarked to another that somewhere in her book Ms Singh talked of wanting to slap famous columnist Aakar Patel’s wife, Tushita. Thank God that couple lives in Bangalore. Outdoor seating in this weather? I am lost … make sure with time you do not lose the MAS within who made you into what you are to reach thus far. ab kaise kaise, aise waise se ho gye? Had to read this thrice; the shade thrown is delicious! she thinks she only genius in world .but she is gooseeeeeeeeeeeeeeeeeeeeeeeeeeeeeeeeeeeeeeeeee…………..
A pity you didn’t know a lot of others who were also there: Odisha CM’Patnaik’s brother Prem & sister Gita Mehta (author of Karma Cola & River Sutra), designer Ritu Kumar, former high commissioner to Pakistan G Parthasarathy , former Express editor Shekhar Gupta etc. The two royals I espied there were not from Rajasthan by the way – Suleiman, the Raja of Mahmoodabad and Rani Nina Singh of Kapurthala. 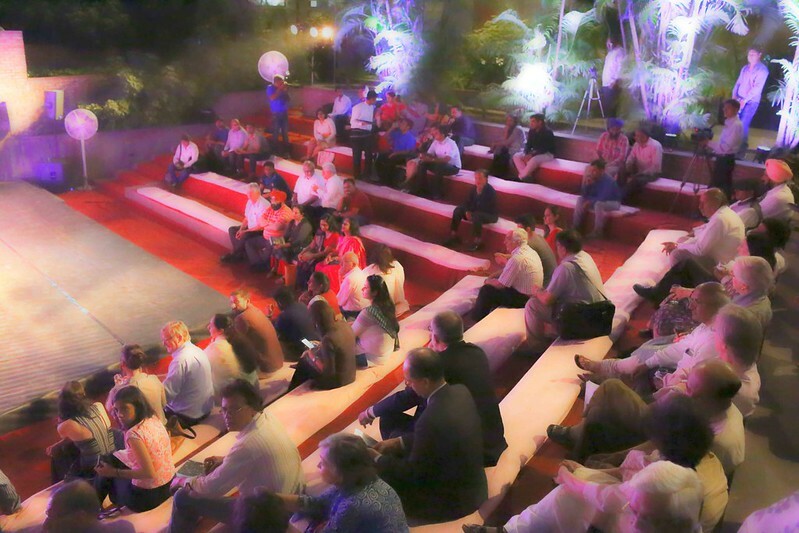 I suspect if the venue had been Taj Mansingh and not IHC amphitheatre on a hot day, the turnout would have been better. I forgot to mention RSS leader Ram Madhav, Najma Heptullah, Sanjaya Baru, Swaminathan Aiyar, Raghu and Meeta Rai….and more. Doesn’t seem a bad turnout for an outdoor event in such sweltering temperatures. Your list just shows the true character of Delhi people like Tavleen Singh. And don’t blame the weather for low turnout. I was there and it was not hot and definitely there was no ‘sweltering temperatures’ and no one was sweating. Mahmoodabad has no “Raja”. Kapurthala has no “Rani”. There are no “royals” in India, which is a democratic republic. India does have many poodles fawning over “royals”. Next time Tavleen Singh decides to write a book, she should think long and hard.People are not interested in your personal angst with anyone.Dont spew venom and be vindictive. It’s a very ugly side of a human and you showed it to perfection.Bonfire night is still far away.What happens to all those books? The lesser souls like me are more concerned with the content of the book, while the higher beings are more interested in who and how many attended the event. It seems introversion won’t get success, it may get you knowledge though, but not the insider information. The vicious poisonous manner in which u have written this is some literary art form ? hahahhahahahhahah – this was such a delight to read. Looking for more. Pray tell, when did Ms. Singh qualify for the adjectives “iconic” and “bestselling”? Methinks, I must be literary challenged or in the minority here to think otherwise, especially in this age of hyphenates.